Many people (myself included) tend to check their email first thing in the morning. Their calendar? Not-so-much. That's fine, most of the time. But it does leave you at a risk of missing early-morning meetings and prevents you from fully visualizing your day. There’s an easy work-around though. Whether you use Gmail or Outlook, you can have your daily agenda emailed to you. With it, at around 5 each morning, all your meetings and events on your calendar that day are sent to you via email in a nice, tidy agenda view so you can know what’s on your schedule. This way, you don’t even have to check your calendar, just your email. This is possible in Outlook as well, although there’s there’s no option to do this in the Outlook client. 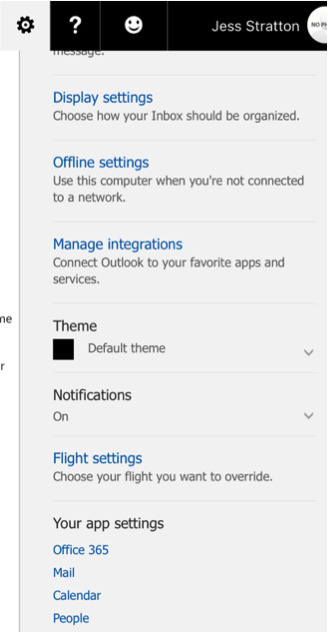 However, you can log in to the Outlook Web App with your credentials. On the web, there is an option to have your daily schedule emailed to you just like in Google Calendar and Gmail. While logged in online, click the gear icon and at the bottom under “Your app settings” and choose Calendar. 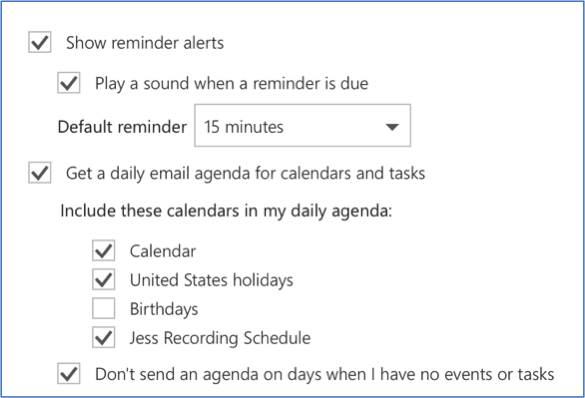 You can even take it a step further and customize which calendars you want included in your agenda email, and have the option to receive no email on the days you have no tasks. You can do this also with your free Outlook.com account to go along with your calendar. So, whether you use Gmail and Google Calendar or Outlook with Office 365, you can never miss an early-morning meeting again by having your daily agenda mailed to you each morning.